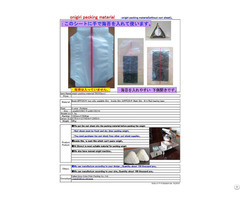 Use such as in ONIGIRI manufactures and sells the Japanese packaging materials. For Fast Foods packaging bags There are a number of such ONIGIRI · SUSHI · sandwich. Please contact us. Production, has been produced in Japan and China of our own factory. such as Japan, the United States, South Korea, Thailand and Vietnam offer the widest range of. Provides a sample. Please contact me at the e-mail. Business Description: We are a Japanese company that manufactures special food packaging materials in Japan and China Dalian. 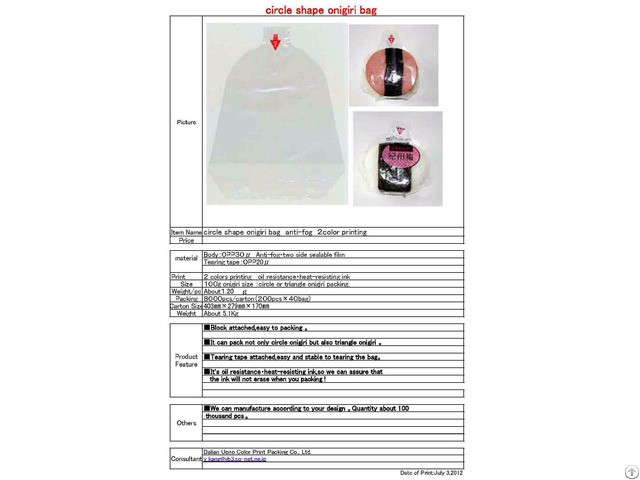 Products include sushi packaging bags, sandwich bags and onigiri bags. Production equipment and technology are Japanese technologies. Raw materials are products of a Japanese company's plant in China. If you are interested, please contact us by accessing the URL. I will send you a sample soon.